The McLennan SBDC is Central Texas’ leading resource for growing and developing businesses. We connect entrepreneurs to success by providing expert business counseling, value added information and referrals, and meaningful knowledge share and networking events - all at low or no cost to the entrepreneur. Our mission is to have a measurable impact on our local economy by increasing the viability and profitability of its small businesses. The McLennan Small Business Development Center offers technical assistance, business mentoring, training, and resources for all stages of small business. Our services & programs help entrepreneurs and communities prosper. Find out about the latest training and networking events for small businesses and entrepreneurs. Review our calendar for upcoming small business workshops and connect with our partner network. Download templates and worksheets in the Open Business Library and access links to helpful websites & effective business practices. View our list of free & low-cost online learning resources. We serve new and existing businesses in the following Central Texas counties: McLennan, Bell, Bosque, Coryell, Falls, Hill, and Johnson Counties. Our professional mentoring and technical assistance services are always free and confidential and our training is affordable. To meet with a SBDC advisor, click the button below. Small Business Spotlight: Full Moon Float Co., LLC. 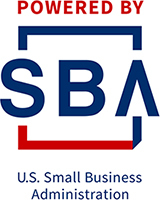 Join the SBDC and SBA for updates to lending programs.